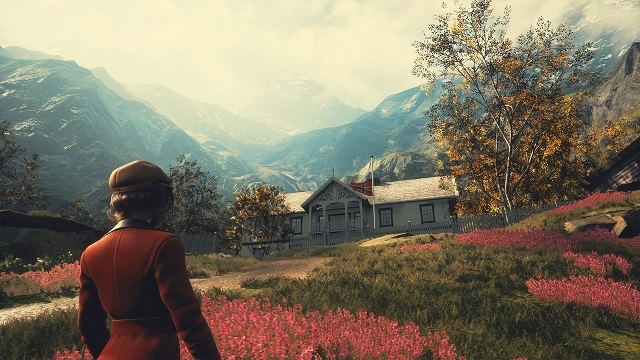 Red Thread Games have released the first trailer for Draugen, their newly announced first person exploration/mystery game. It’s going to take you on a journey through rural Norway during the 1920s, and you’ll play the role of a man looking for his sister. Apart from the mystery and the beautiful environment, the developers seem to be putting a lot of emphasis on your companion, who’s supposed to be quite independent. The trailer is only two minutes long, but there’s a lot to untangle there. Red Thread Games is best known for cult point and click adventure The Longest Journey, and to a lesser extent its sequels, Dreamfall and Dreamfall: Chapters. Draugen is being made largely by the same people, helmed by Ragnar Tørnquist, the same person who penned their most famous games. If you’ve any interest in games as vessels for story, there’s a lot to be excited about here. You’re going to take on the role of Edward Charles Harden, a man looking for his sister in the fjords and coastal villages of Norway. Naturally, there’s a “darkness that lies beneath the picturesque surface”. Wouldn’t be a proper story about a village if there wasn’t any darkness involved. You’re not going to be alone, though. Your protege, Lissie, will accompany you on your journey, and the devs bill her as being “living, breathing and independent”, whatever that may mean. There are hints that Edward will slowly sink into madness as the story progresses – mentions of an “increasingly unreliable narrator” and scenery that changes along with his mental state. There are already store pages on Steam and GOG, which claim it’s going to be released at some point this year. As we’re almost halfway through the year, it’s probably been in production for quite a while now.